From this years spectacular World Cup, to the festivals up and down the country, to the countless conferences, exhibitions and gatherings, it’s hard to miss the scale of the events industry in 2018. With growth comes innovation and a need to evolve and buck the trend. Events have become more immersive and are aiming to become a full experience from venue choice, décor, branding and activities. Events such as ‘Secret Cinema’ where guests are encouraged to come and be part of the event and immerse themselves with it’s world give a nod to how guest expectations are shifting. Over the last year both VR (virtual reality) and AR (augmented reality) have risen massively through the tech world and are set to be major game changers in the way we consume information. 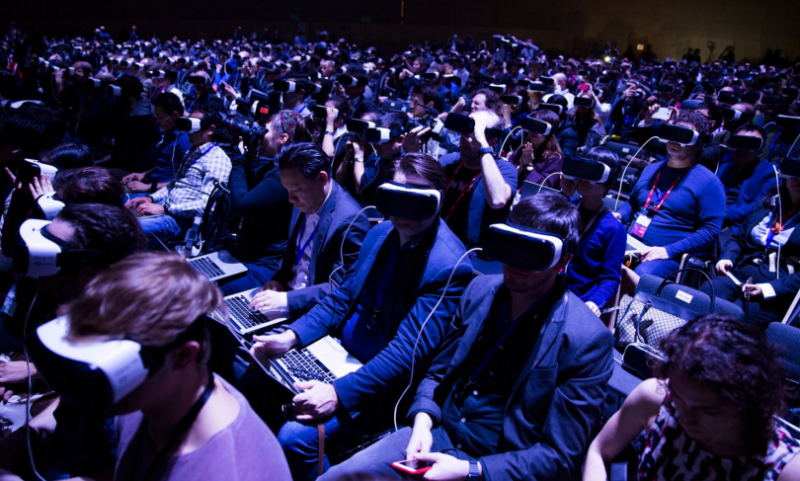 VR would allow guests to access virtual events, take tours around prospective ventures and digital mock ups, while AR could provide interactive content during the event. 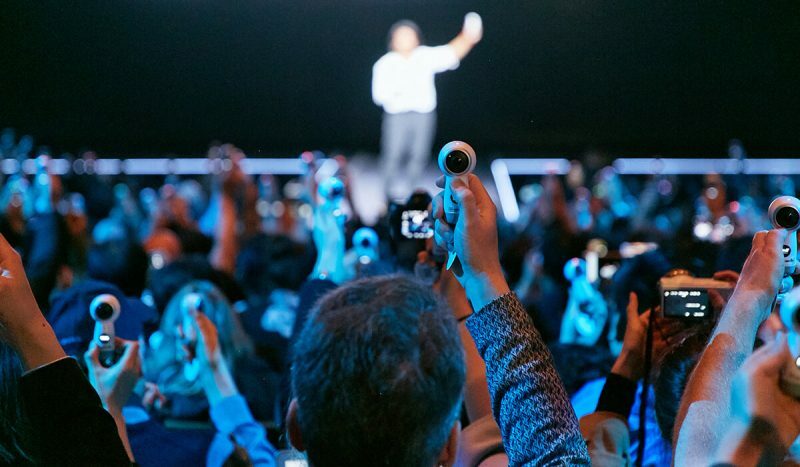 360-degree video still looks to become a standard as the implementation and support on handheld devices continues to grow. Whilst full implementation of VR and AR are still a way off (and to some seen as a novelty), there’s no denying the potential of these enhancements that may soon become a norm across the industry. Speaking of norms, a now common sight to see is guests holding up their phones and ‘Facebook Live’ streaming events and concerts, but with the cost of professional and high-end video recording and live streaming starting to come down, there’s no excuse for not providing instant social media content or professional video to promote and recap your event. A prime example of this being our latest event for Tesco UK where we were required to produce three videos of the day during the event for social media. Strategic use of technology will continue with increased use of apps to add to the event experience, guiding delegates and guests and providing further immersion to an event. Social media continues to play a strong role in event engagement, drawing in new delegates and generating a wealth of feedback from guests straight from through hashtags and uploaded photos across Twitter, Instagram and Facebook as well as blogs and websites. Ticketing and event passes are also seeing a change with RFID chips (Radio Frequency Identification) built into passes, fraud is easier to identify, attendees can speed through entrances or pay for items quickly with a quick wave of a badge. Of course, with each RFID having a unique identifier, tracking footfall and trends in popular site areas can be analysed with real-time data. RFID passes can also unlock unique opportunities for guests, granting access to VIP areas or experiences. Catering options have become a more varied over the last year. A consumer shift towards more healthier lifestyles and the rise of veganism amongst the population has caused a reaction in the industry to provide healthier and more diverse catering. Food that’s not also a source of sustenance to keep guests fuelled but a talking point, with the cocktail industry also in a boom, having quirky or visually striking food and drink can provide conversation and interactions prompting sharing on social media. Strategic placement of bars and food stands can create a hub and networking point, further encouraging conversation and interactivity. Of course, with the internet, everyone is on the same page and able to follow trends and copy styles much easier, greatly pushing innovation. There are no shortcuts now. Guests are smarter, expecting more for their money, meaning promoters and organisers must look for ways to provide. Activities can be costly, but sponsorships can help alleviate this. The Digital Age is fully upon us and simple printed graphics are no longer going to keep attendees engaged, you need dynamics and interactivity to get them looking up off their phones and tablets. LED screens in a variety of flavours (HD, 4K, 8K, OLED) are replacing traditional signage to create striking video and animated graphic displays. Further integration between the AV and IT worlds can only create greater innovation for event technology. As you’re no doubt aware, the newly expanded Tailwind Group entered the events world this year. We incorporated new people and ideas into our growing business. Our eyes are fully open to every opportunity that the events world has to offer to our clients and we have already been taking to the stage this year to #showtheworld exactly what the talented team at Tailwind Group Events have to offer.